Yamaha is proud to announce an unprecedented 10-year-belt warranty covering all Assembled in the USA 2019 models with the exclusive Ultramatic Automatic Transmission, including the all-new Wolverine X2 and X4, Viking, Kodiak and full-size Grizzly models. Yamaha Motor Corp., USA, today announces a 10-year warranty on its Ultramatic® automatic transmission belts for all new 2019 ATV and Side-by-Side (SxS) vehicles that are Assembled in the USA. 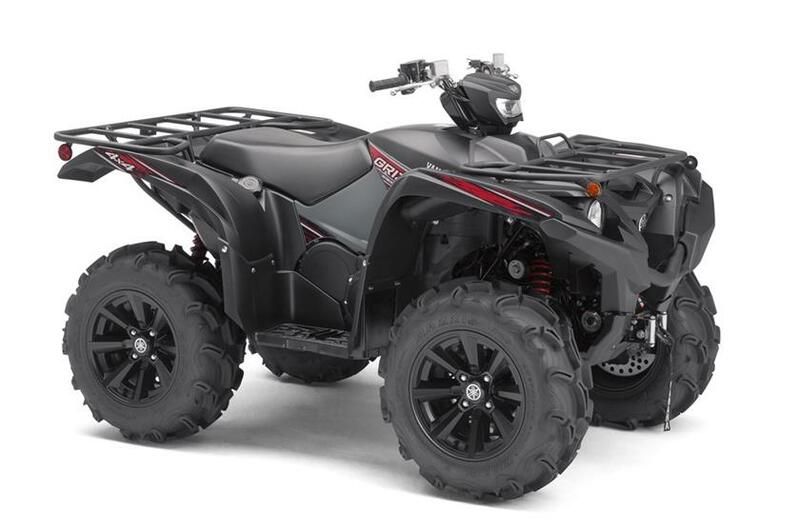 Yamaha’s Proven Off-Road ATV and Side-by-Side vehicles provide customers with the capability, comfort and confidence to get out and enjoy the outdoors. Whether it be for work or play, Yamaha owners can have faith their vehicle will not only get them where they want to go, but also get them back. 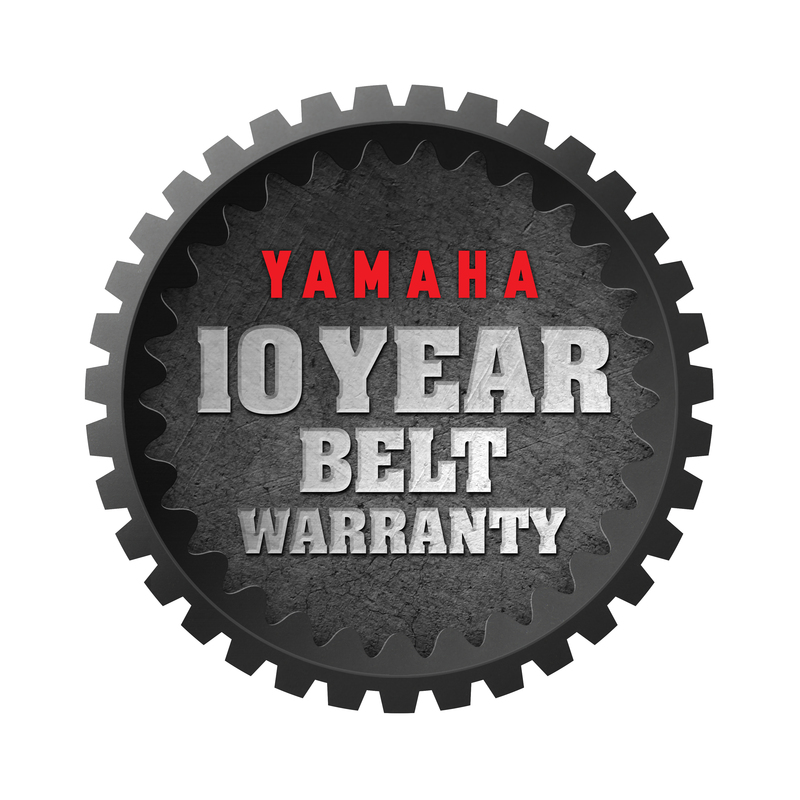 With the new 10-year belt warranty, Yamaha solidifies its well-earned reputation for superior durability and reliability, and further sets itself apart from the competition. All of Yamaha’s Side-by-Sides and full-size ATVs are proudly Assembled in the USA at Yamaha’s state-of-the-art manufacturing facility in Newnan, Georgia, for worldwide distribution. Eligible 10-year belt warranty units featuring Yamaha’s Ultramatic CVT transmission include the 2019 Wolverine, Viking, Grizzly, and Kodiak models. Qualified vehicles must be purchased for personal use within the contiguous United States and Alaska for coverage. The warranty is wholly separate from and in addition to the Original Limited Warranty offered on Yamaha products. 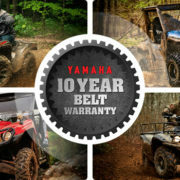 For more information on the Yamaha 10-year belt warranty, including model eligibility, guidelines, and to register your Yamaha ATV or SxS vehicle, visit Yamaha10YearBelt.com. REALize Your Adventure and view additional details and specifications on Yamaha’s complete lineup of Proven Off-Road vehicles online atYamahaOutdoors.com, or by visiting your local Yamaha dealer. Connect with Yamaha on your favorite social channels at Facebook.com/YamahaOutdoors, Twitter.com/YamahaOutdoors, and Instagram.com/YamahaOutdoors. . Additionally find Yamaha Outdoors on YouTube, or search the following hashtags on all platforms: #Yamaha10YearBelt #WolverineX2 #WolverineX4 #Viking #YamahaGrizzly #YamahaKodiak #REALizeYourAdventure #ProvenOffRoad #AssembledinUSA #Yamaha. Yamaha Motor Corp., USA, is announcing the Yamaha XTReme Terrain Challenge, an all-new and exclusive off-roading adventure for Yamaha YXZ1000R and Wolverine Side- by-Side (SxS) owners. 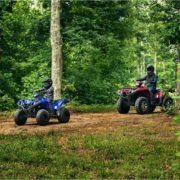 Scheduled to be hosted at the iconic Loretta Lynn Ranch in Hurricane Mills, Tennessee, this November 16 to 18, the Yamaha XTReme Terrain Challenge invites all YXZ1000R and Wolverine SxS owners to register. Space is limited, and only the first 25 signups in each class are guaranteed entry, with the remaining spots filled by a random drawing. 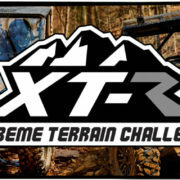 Register online at XTRemeTerrainChallenge.com. The Yamaha XTReme Terrain Challenge will feature a unique off-road ride event format, with participants tackling an unmarked, GPS-navigated route through extreme terrain and obstacles. Both a driver and passenger are required in each SxS, with an entry fee of $100 per-vehicle. The event will be split into two classes, with both YXZ and Wolverine SxS owners navigating through tight, technical trails, including mud bog and rock crawling sections requiring winching (with an optional route around). Teams finishing the course successfully will earn a ShopYamaha.com gift card valued at $100. Those completing all obstacles and the course are entered to win a grand prize, with the winner announced by random drawing during the closing ceremonies. In addition to receiving a swag bag and dinner Friday and Saturday, entrants will receive raffle tickets for various prizes throughout the weekend, along with access to a concert following closing ceremonies on Saturday night. 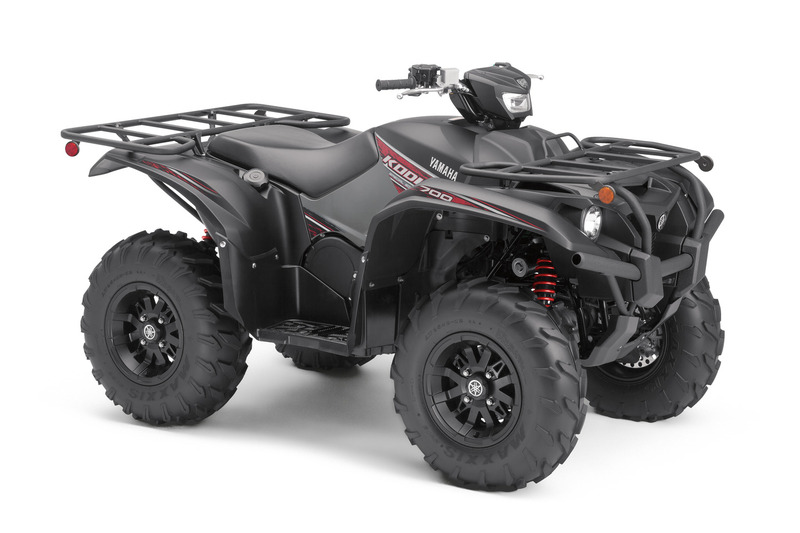 All-new for 2019, the Grizzly 90(see above) combines the Proven Off-Road performance and versatility of its namesake with a fun and confidence-inspiring 90cc engine and CVT transmission for entry-level riders 10-years-old and up to develop their off-road abilities. 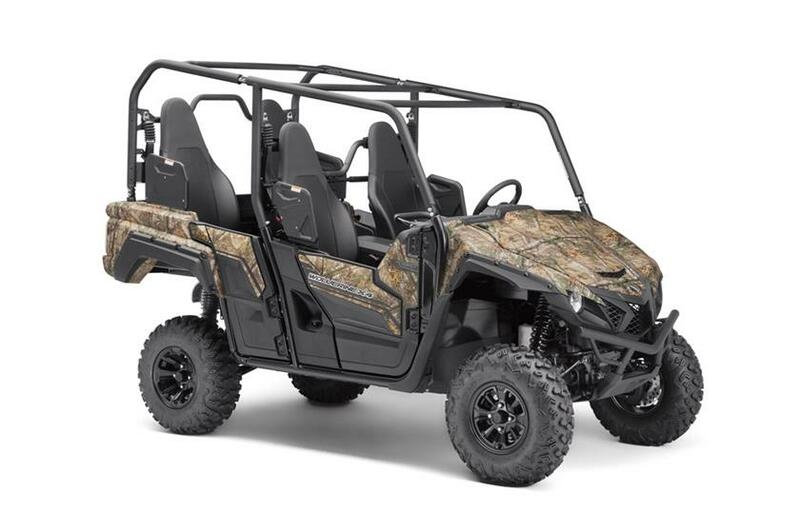 The youth model offers several Grizzly DNA features including mud-protection fenders, trail-pointed comfort suspension, front and rear cargo racks, and new Grizzly-tread tires. 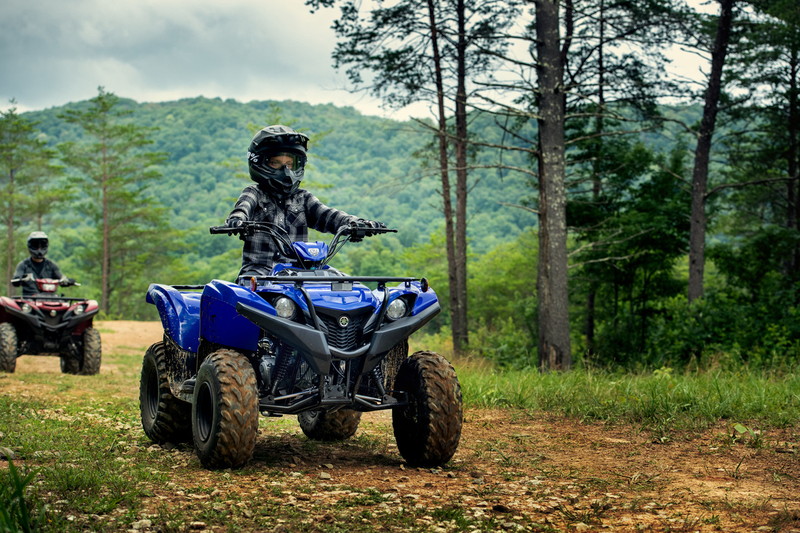 Parents can feel confident introducing their first-time rider to the excitement of ATV riding with an electronic speed limiter and adjustable throttle stop. The Grizzly 90 also gives new riders the capability and comfort to grow and adjust for years to come with a large plush seat and open floorboards. The New Grizzly 90 is available at a $2,999 MSRP. A new Tactical Black Kodiak 700 SE is also included in the 2019 fall lineup. The Kodiak 700 SE is built for both work and play providing a comfortable, confidence-inspiring ride. Powered by Yamaha’s legendary 700-class single-cylinder, liquid-cooled engine, the 2019 Kodiak 700 SE is built Real World Tough with cast-aluminum wheels, more than 1,300 pounds of towing capacity, 110-pound front rack capacity, and 198-pound rear rack capacity for a work-ready design and capability. The new Tactical Black Kodiak 700 SE is available at a $9,299 MSRP . The trail‑taming Wolverine X4 SE combines style with comfort and capability. 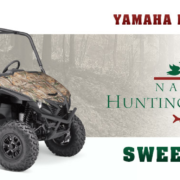 As the leading powersports supporter of access, conservation and outdoor education, Yamaha Motor Corp., USA, is again sponsoring National Hunting and Fishing Day (NHF Day) to raise awareness for our annual celebration of outdoor recreation. Each year, NHF Day brings together sportsmen and women to celebrate the rich tradition of fishing and hunting with national, state, regional and local organizations hosting fishing- and hunting-related events. Yamaha’s continued funding of the NHF Day Live It! Grants is complemented by a Wolverine X4 Side-by-Side sweepstakes at www.YamahaOutdoors.com/NHFDay. Yamaha’s annual sponsorship of NHF Day is aimed at raising awareness and support for outdoor recreation and conservation. As part of Yamaha’s support, it is offering to give away a 2018 Wolverine X4 featuring the industry’s quietest, comfortable and confidence inspiring 847-cc twin cylinder engine in a SxS. The Wolverine X4 is Proven Off-Road and the ideal hunting and fishing partner. 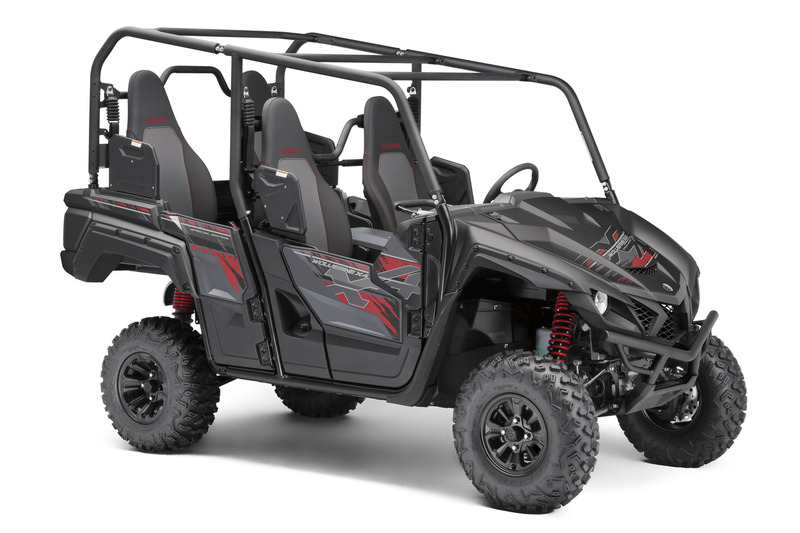 With superior handling, especially on tight, technical trails, combined with Yamaha’s legendary Real World Tough durability and reliability, the Wolverine X4 is a recreational four-seat SxS vehicle designed for outdoor adventures. The sweepstakes is open to men and women, ages 18-years-of-age or older, through the end of October 2018. Congress established National Hunting and Fishing Day to recognize hunters and anglers for their leadership in fish and wildlife conservation. Since launching in 1971, each fourth Saturday in September is set aside as NHF Day. This day brings together sportsmen and women to celebrate the rich tradition of fishing and hunting with national, state, regional and local organizations hosting fishing- and hunting-related events. This year’s NHF Day is set for September 22 with retired NASCAR driver Dale Earnhardt Jr. serving as honorary chairman. 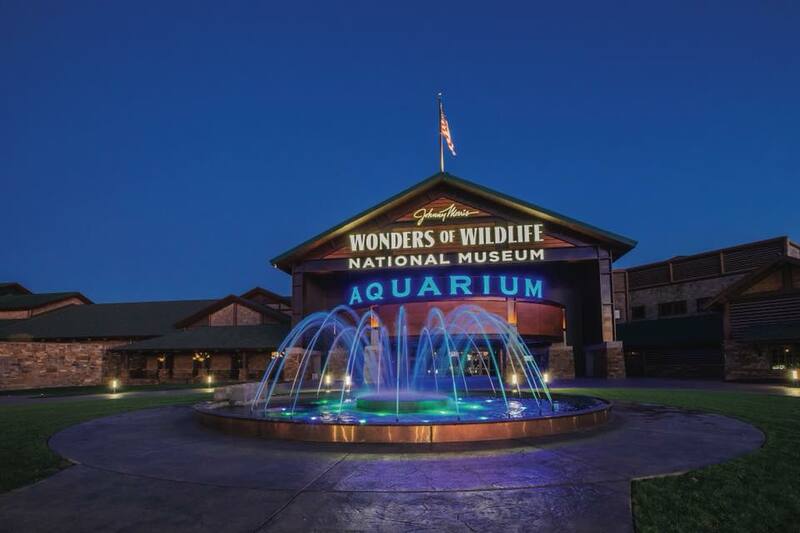 NHF Day’s official home is at the Wonders of Wildlife National Museum and Aquarium in Springfield, Missouri. Both entities share the goal of strengthening the image of hunting, shooting and fishing. NHF Day is one of the most effective grassroots campaigns to promote hunters, anglers and the conservation of wildlife and habitat. Each year, thousands of people participate in NHF Day events across the country to commemorate the foundation of conservation through fishing and hunting. Johnny Morris Wonders of Wildlife National Museum and Aquarium located in Springfield, MO. NHF Day is made possible through the sponsorship and generous support of these well-respected companies and brands: Bass Pro Shops, Yamaha, Realtree, Ducks Unlimited, National Wild Turkey Federation, Izaak Walton League and the Congressional Sportsmen’s Foundation.